The analysis of large amounts of ice from Antarctica’s Taylor Valley has helped scientists to tease apart the natural and human-made sources of the potent greenhouse gas methane. 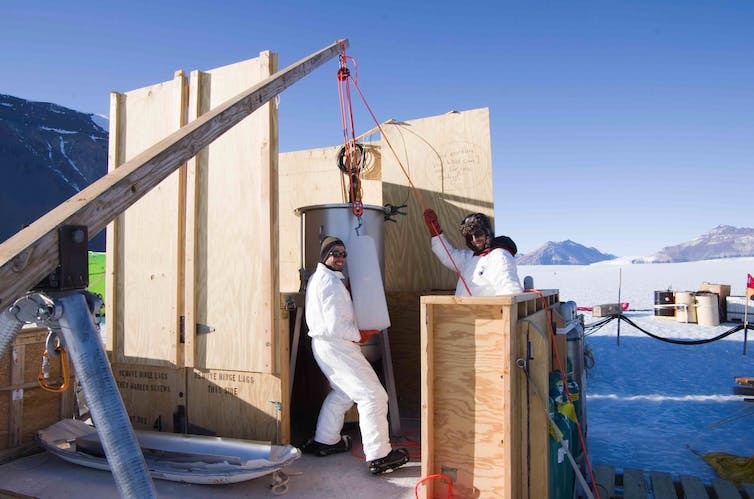 Katja Riedel and Hinrich Schaefer discuss NIWA’s ice coring work at Taylor Glacier in Antarctica. 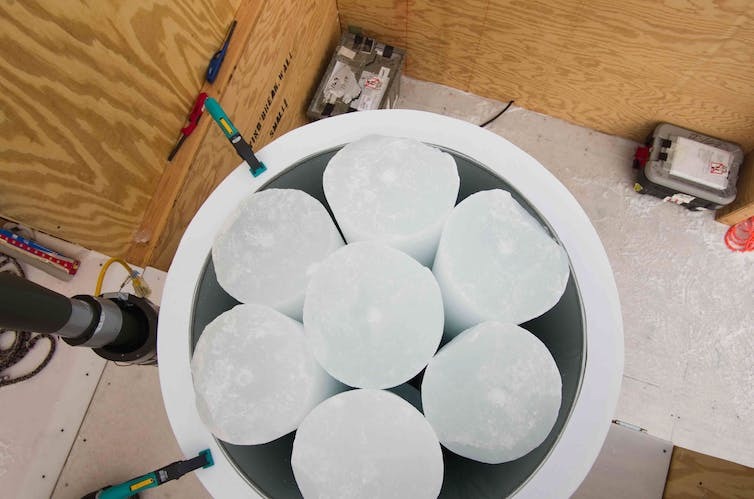 The ice is processed in a large melter before samples are shipped back to New Zealand. 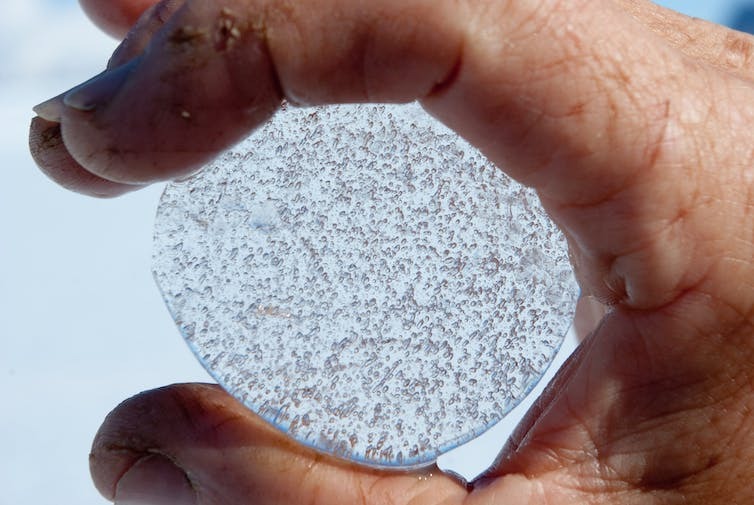 Antarctic ice traps tiny bubbles of air, which represents a sample of ancient atmospheres. 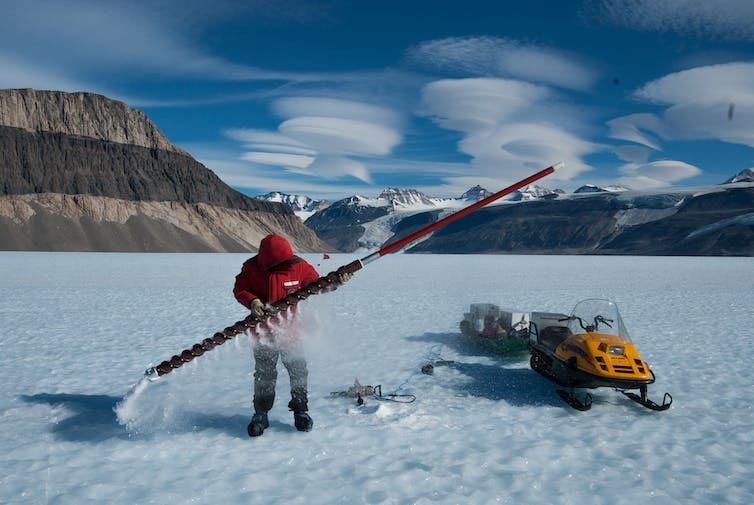 A tonne of ice yielded only a drop of methane.